Our planet has a major plastic problem, and the only way to help it is to drastically reduce our plastic consumption. Whilst it is great to reduce plastic use within our own homes, we all know the feeling of when we get sent a package that has been unexpectedly wrapped in numerous layers of plastic, or when unnecessary plastic items are given to us during meals out in public places. There are currently 300 million tons of plastic being produced globally every single year, according to recent reports. However, as the serious issue of plastic pollution arises increasingly in the public eye, more businesses are trying hard to face the problem head on, and reduce their use of plastic where it’s not needed, or alternatives can be found. Seattle, in Washington, is one of those cities who have committed to a plastic reduction plan, claiming that they will ban plastic straws and utensils in restaurants by July 1, 2018, following their already existing ban on single-use plastic bags. This means that they will only allow items made of paper or compostable utensils and straws. 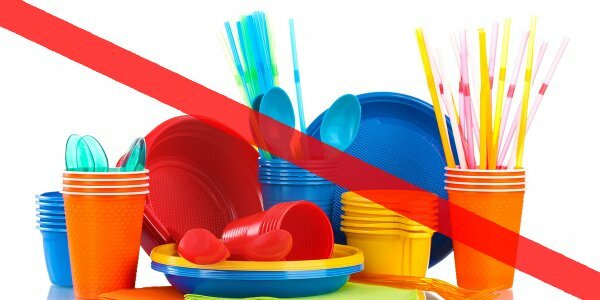 Although plastic straws and utensils will still be available in grocery stores, all restaurants will be affected by the ban, and if they don’t follow through with the new rules they will receive a warning, which would be followed by a fine if plastic items are continually used. Following the announcement of the proposed plans, some restaurants have decided to put these changes into place ahead of the July deadline, as part of a campaign called “Strawless in Seattle”, which involves up to 500 local groups and restaurants. 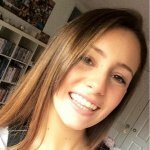 I am Jess Murray, wildlife conservationist, photographer and writer. I like to document the natural world and create awareness through my writing so that your future can be sustainable and positive. Follow my Facebook page and Instagram account to be part of the journey.
? Scientists Just Found Water On Mars — Where They Thought It Couldn’t Exist Republicans Willing To Consider Gun Reform Laws After Las Vegas Shooting ?